With the school days approaching, I find myself almost in a "nesting" phase, much like pre-pregnancy. I feel the urge to try and create order and routine out of the mess and chaos that summertime, with its lazy mornings and late nights, has wreaked upon our Trenches. The summer reading lists are unburied and uncrinkled. The school supply lists are printed. The school physical forms are filled out. Football practices are beginning. School days bring forth memories of that distinct disinfectant smell, the clanging of lockers, and the old-school combination lock that NEVER worked on the first try. You totally know what I mean. Kids these days have it so much better, right down to their fancy locks for their lockers. I mean, look at these beauties. Master Lock is the world’s largest manufacturer of padlocks and related security product that provide security solutions for homes, cars, bikes, and storage security needs. As you can see, Master Lock has a variety of stylish, secure and customizable products to make students back-to-school ready and ensure they don’t forget their combination. Hated when that happened! Master Lock offers a wide range of products and tools for students to use, including: padlocks for school and gym lockers, laptop locks, backpack locks and an online website and mobile app for storing passwords and other important documents. Master Lock is dialing up back-to-school fun for you with an interactive online game, “Master Lock Photo Hunt Challenge.” The game offers you a chance to view the many products Master Lock offers to keep students’ belongings safe at school while getting a chance to win fun Master Lock products and other cool prizes. Now through September 7,you can go to www.MasterLockPhotoHunt.com for a chance to win back-to-school security items and create a Master Lock shopping wish list. The game features two similar back-to-school images and asks you to spot the differences before time runs out. Finding all the differences will unlock the next photo board with the potential to earn up to two sweepstakes entries for each play. If you share the photo hunt challenge on Twitter, you earn an additional entry. There are more than 65 chances to win, including daily instant win prizes, weekly prizes and one grand prize: a Samsung Smart Media Center Package that includes a 60” HD 1080p Smart LED HDTV! 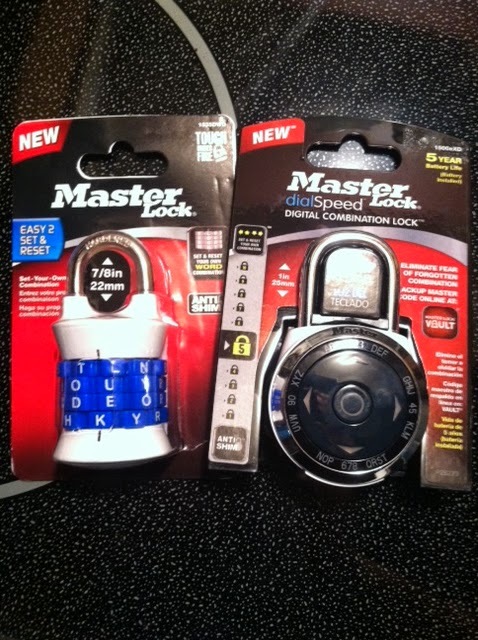 ALSO, be sure to join the Master Lock Twitter Party on August 5th at 8 PM EST, hosted by @ResourcefulMom. RSVP here! Hashtag for the party is #MasterBackToSchool.